The MeDioStar NeXT PRO ALeX brings the Alexandrite wavelength and the latest diode technology together, combining the efficacy of the high melanin absorption of the Alexandrite with all the benefits of the diode. Thanks to the highly selective 755 nm wavelength, even thinner and lighter hairs can be treated with the best results. The proven reliability of the diode technology assures the optimization of the treatment procedure (no time-consuming heating up) and no running costs. 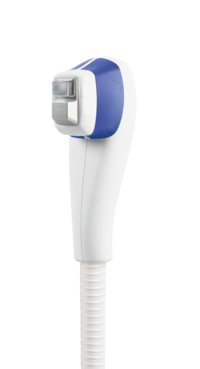 The MeDioStar NeXT PRO ALeX features a handpiece with a spot of 1.4 cm2, one of the largest on the market among the alexandrite hair removal systems. The integrated skin-cooling system allows the highly efficient pre-cooling of the epidermis, protecting it from the risk of burns. This guarantees the highest degree of comfort for both the patient and the user. The MeDioStar NeXT PRO ALeX handpiece is fitted with a system that cools the area to be treated immediately before emitting the pulse, guaranteeing greater comfort and safety for the patient during treatment. A monitoring system inside the laser device regulates the cooling level, always keeping the skin temperature low and ensuring painless and extremely delicate treatment for all skin types. Thanks to the TAPER technology, a special quartz fiber bundle developed by Asclepion, the laser beam is transmitted in a very uniform way, guaranteeing the even treatment of the treated areas. Thanks to the uniform distribution of energy and the square-shaped beam, there are no gaps between the spots and no zones that are hotter or cooler than others. This guarantees a safe treatment with very low risk of side effects. Thanks to the diode technology and to variable pulse length (up to 400ms), MeDioStar NeXT PRO ALeX allows the treatment of skin types up to V, representing a major revolution in the treatment of hair removal with an Alexandrite wavelength. The integrated skin cooling prevents thermal damage, such as burning, to the epidermis and provides maximum comfort and safety during treatment. The SmoothPulse mode allows fast and painless treatments and the integrated skin-cooling system guarantees the highest level of safety. 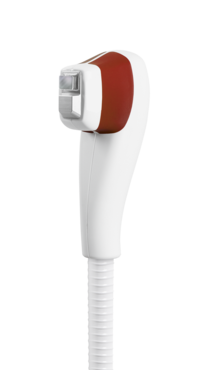 With a selectable frequency up to 12 Hz, MeDioStar NeXT PRO ALeX is the fastest hair removal system on the market. 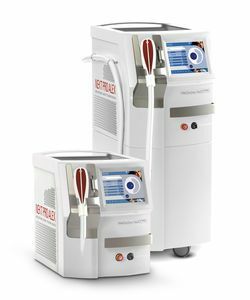 The MeDioStar NeXT PRO ALeX goes beyond mere hair removal, also demonstrating its great versatility and user-friendliness in other fields of application, such as the removal of leg veins, treatment of hemangiomas and other ectatic vessels. On top of this, the device allows also further treatments including acne treatment, skin rejuvenation and skin whitening. The new MeDioStar NeXT PRO ALeX is built as a tabletop device, offering more features in a smaller box. In addition, we offer a storage trolley that fits underneath the device. 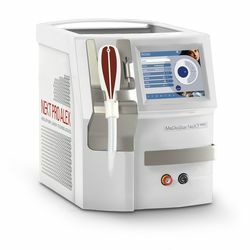 The MeDioStar NeXT PRO ALeX has a built-in 8.4” full color TFT touch screen display that features improved software with parameter suggestions, a picture and video library and treatment information.